VPrSt Posh Lottie Da – is a 12.3h Welsh mare that was new to Edenhof in 2016. 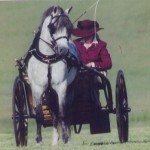 She brings her exquisite good looks, excellent conformation, and top pedigree to our German Riding Pony breeding program. She is a lovely mover accentuated with a very active hind leg and nice uphill step. At her GOV(German Oldenburg Verband)/Weser Ems inspection in 2009 she scored higher than any other mare(pony and warmbloods combined) for the whole Northwest region, receiving 8s and 9s for conformation and type! 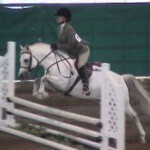 Also of note, is that at her only showing, she was the Champion Filly at the Gold NorthWest Classic in 2003! In 2016, at her RPSI Inspection she was also awarded Gold Premium rating and entered into the German Riding Pony Mare Book 1, thus earning her VPrSt Premium mare title! 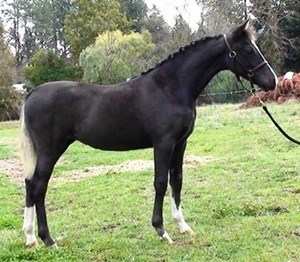 Posh Lottie Da is out of the imported mare, Rhosons Humor, who holds a pedigree that reads like a royalty book from the Section B Welsh pedigrees of the UK and she was sired by the famous Welsh stallion, Gayfields Call the Cops. 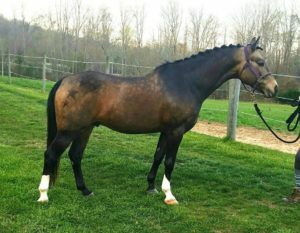 Cops is an exceptional stallion and a wonderfully correct mover, who blessed this daughter with superb impulsion, suspension, extension, and shoulder freedom .Cops’ foals also proved his success as a sire of champion jumping ponies. 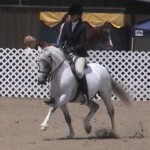 He was highly ranked on the USEF Leading Pony Hunter Sires list as well. Through his own performance he earned his Individual Legion of Merit, Award of Excellence, and prestigious Order of the Dragon accolades. Of equal importance is the fact that he also proved a sire of great performance champions, also earning his Sires Legion of Merit, Sires Award of Excellence, and Sires for the Order of the Dragon because he sired offspring who also earned these much coveted awards. 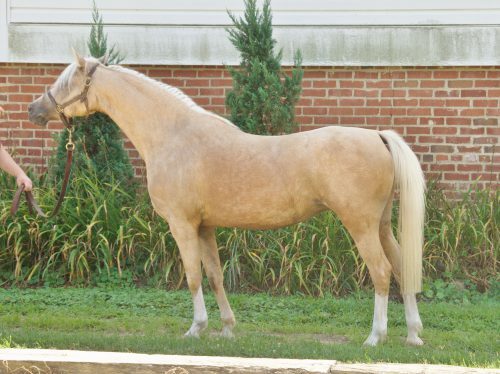 He represents one of the most elite families in the Welsh Pony world by combining two of the most successful Welsh bloodlines in the US. He is one of three full siblings who each achieved their Individual Legion of Merit. Cops’ sire, Sleight of Hand, has achieved outstanding success, earning the Legion of Merit, Award of Excellence, and multiple Order of the Dragon awards due to the performance records of his offspring and himself. Cops’ equally influential mother, Dixie Blue Duchess, also earned her Legion of Merit and Award of Excellence. Cops’ damsire, Findlyn Blue Danube, was most notably an extremely successful sire of hunter, and performance ponies. Incredible superstars in every nook of these pony pedigrees! Cops is also a performer and a performance sire who has demonstrated his athletic talents across a variety of disciplines. He won the 2002 and 2006 Western National Supreme Championship! He led the West Coast in points in the variety of in hand, English Pleasure, Pleasure Driving , and Carraige Driving both single and pairs! 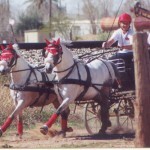 He won many National Championships in Open competition for Combined Driving and was even long listed by the USEF for the 2002-2003 World Pony Driving Championship Team! He definitely fulfilled the athletic destiny of his impeccable pedigree. 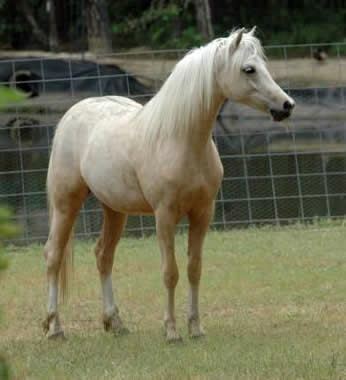 Dauntless Debonair was bred by Gayle Atkins and sired by Dynamic, her Oldenburg stallion He is a 14.2h Buckskin German Riding Pony stallion, now owned by Helen V Frederric who stands him in North Carolina! Bruce Griffith Sporthorses successfully presented Dauntless Debonaire at Hilltop Farm Oldenburg Inspections on August 12th 2018. Final score was a fantastic 222, so he was licensed Weser -Ems!!! ♦Dauntless Debonair has won the 5 year Futurity at the 2017 National Pony Cup in Kentucky! Congratulations! 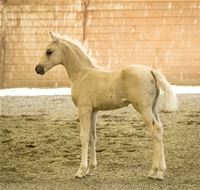 Butterscotch: palomino Weser Ems colt by Bodyguard who presents as quite striking type and conformation, and good active movement from behind. 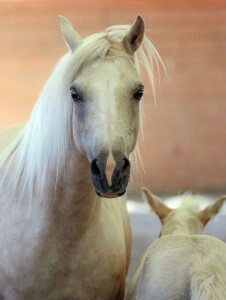 He was bred and owned by Seraphina Brower of CA.